What kind of imagery comes to people's mind when they think of California? Hollywood with its red carpet and movie stars? Golden Gate Bridge in San Francisco? These cities are famous for a reason - they're filled with unique things that make California what it is: great weather, beaches, great food, and a diverse community of residents. Having said that, California is more than just Los Angeles and San Francisco. Don't miss out on these smaller cities that are filled with charm with beautiful sceneries to boot. This coastal town between Los Angeles and San Francisco is worth visiting for its proximity to the ocean and the mountain. It's a renown playground for the rich and famous. Oprah is rumored to own a house in Montecito, a neighborhood of Santa Barbara. Just a short detour away off Highway 1 Santa Barbara makes a perfect stop for those doing a trip along the coast of California. Also located between Los Angeles and San Francisco, Cayucos is a small beach resort town of 3000 residents. The name comes from the Chumash Indian's word for "kayak" or "canoe". Cayucos is a perfect base to explore the central coast of California including sights such as Hearst Castle, Morro Bay, as well as other small coastal towns such as Cambria and San Luis Obispo. Want to have a taste of Denmark while in California? Solvang is where you need to be. This town, 90 minutes north of Los Angeles, is filled with Danish characters - there are charming windmills, European style houses, and Danish restaurants. Visit the Solvang Shoe Store to get a pair of your own painted wooden clogs. The town is so small we recommend renting a bike to do your own exploring. World known for its collection of wineries surrounding the area, the city of Napa is worth visiting. It makes for a perfect base to visit the natural hot spring in Calistoga. It's also a pleasant town to sit back and enjoy the nature while sipping on a glass of local wine. In order to see the wineries, there are many tours offered by local businesses. You can visit the wineries by jeeps, bicycles, motorcycles, and even limousines. Mendocino is a city in Mendocino county and is a popular vacation getaway for the residents of Northern California. Known for its resident population of artists, the town has a large concentration of art galleries as well as trendy restaurants and shops. On top of the art scene, visitors can also go whale watching and do other beach related activities. The most scenic way to get to here is by following Highway One all the way from San Francisco. California offers so much more than their famous big cities. If you have time to spare when visiting the state, venture out to these small coastal towns. You won't regret it. These smaller towns along the coast are worthy of visit for their laid back charms and natural beauty. A local, a traveller, and a writer - Caro Hill's lives on the coast of California. 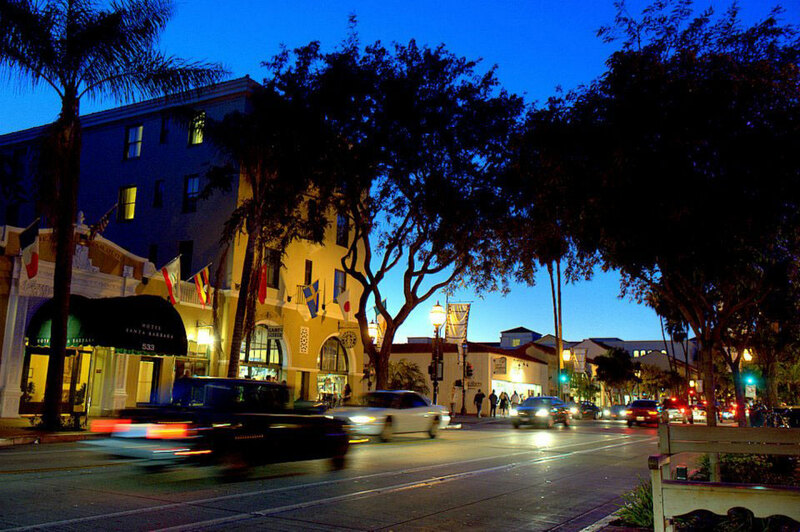 She loves finding out new things to add to her list of what to do in Santa Barbara. i have never been to Calafornia, but, i know where to go know! Thankyou! i wanna go to riverside!!!!!!!!!!!!!! !